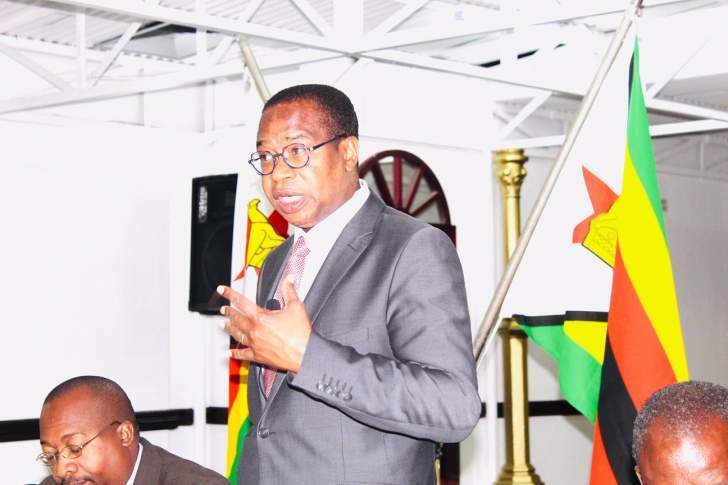 Against the backdrop of the ongoing debate and rhetoric about the recently proposed 2% transaction tax which was announced by Finance minister Mthuli Ncube, ostensibly to widen Zimbabwe's tax base. This article seeks to trace the origins of this tax and also to draw some conclusions on whether it is useful or not. It is worth noting that the minister went on to clarify and provide further details pertaining to this controversial tax. Firstly, it is important to highlight the fact that this tax is not new in Zimbabwe. In other words, this is not a new tax. It has always been there. The only difference is that hitherto, the figure was five cents per transaction. Now, it is 2% per dollar transacted. In other words, what Ncube did was to increase the tax from five cents per transaction to 2% per dollar transacted. By way of an example, what this means is that for a qualifying transaction of US$1 0 00, previously, one would have paid taxation of only five cents for that transaction. Now, the same qualifying transaction of US$1 000 attracts taxation of US$20. That is a dramatic increase from five cents to US$20 for the same transaction of US$1 000. That is what is at the centre of the controversy about this taxation. But, it must be noted that this is not a new tax. This is an old tax that was merely increased substantially as highlighted above with some caps and collars. The minister went on to provide relief to certain categories of transactions. Transactions below US$10 will be exempt while transactions above US$500 000 will attract a flat tax of US$10 000. This means that there is a cap on the upper end of these transactions. Moreover, the minister went on to provide a list of specific transactions that are absolutely exempt from this 2% taxation. There are reports that this tax will be subject to governmental review and also its implementation will have to go through formal government gazette. Arising from the foregoing, a question that is uppermost among Zimbabweans is: what is the rationale for this transaction tax? Is it a new tax or not? What are its origins? Is there international precedent for it? As has already been asserted above, this is not a new tax. This tax was there at five cents per transaction. It was merely increased substantially. That is why it raised the ire of the people of Zimbabwe. The rationale as articulated by the minister is to broaden the tax base given the rapidly dwindling sources of revenue for the national treasury due to the informal nature of Zimbabwe's economy. The genesis of this transactions tax is traced to way back in 1936 when it was proposed by Cambridge University economist John Maynard Keynes in his magnum opus, The General Theory of Employment, Interest and Money. Keynes argued that: "The introduction of a substantial governmental tax on all transactions might prove the most serviceable reform available, with a view to mitigating the predominance of speculation over enterprises in the United States." From this statement, it is clear that Keynes proposed the introduction of a tax on transactions to mitigate against the activities of speculators, that is to say, to try and discourage financial speculators who were crowding out real brick-and-mortar enterprises in the economy. Of course, the corollary question would be: What about the Zimbabwean transactions tax? Is it to discourage speculation? The answer is a resounding no because nowadays almost all Zimbabweans transact through such transfers. The shortage of hard cash unwittingly forces everyone to transact in this fashion. So Zimbabweans are not speculators. They are transacting this way out of necessity and also as a reaction to the fact that there is no actual cash in the economy. The effect of this tax increase will therefore cause many folks to limit the size of their transactions to below the minimum threshold, which is exempt (i.e. below US$10). While Zimbabweans were warming up and embracing the formal way of transacting, this tax increase might have the adverse feedback loop of driving them back to the informal means of transacting. On net, the government might be the loser. Firstly, if the majority of those who transact restrict their transactions to no more than US$10 per transaction, then the government will lose on the previous five cents per transaction that it used to collect, and also lose on the anticipated 2% because such transactions are exempt. Other Zimbabweans might resort to transacting through location swaps, whereby a politician in Harare wants to send US$1 000 to his "small house" in Bulawayo, he simply finds a fellow politician in Bulawayo who happens to want to send his ex-wife in Harare, US$1 000. The two politicians instruct each other to deliver money on behalf of one another in Harare and in Bulawayo simultaneously such that the whole transaction is executed without money having actually moved either to Bulawayo or to Harare. That is to say, the transaction would have been executed through a location swap. Again, the net loser will be the government. Moreover, some people might resort to sending money through bus conductors and intercity taxi drivers. Consequently, the country might suffer the negative feedback loop repercussions, that is, unintended consequences. Back to the origins of this transactions tax: in 1978, James Tobin, a Nobel prize-winning economist at Yale University proposed what he referred to as: ". . . an international uniform tax on all spot conversion of one currency into another, proportional to the size of the transaction". Again it is clear here that the target of this transaction tax has always been speculators, especially currency speculators. The rationale being that they do not add value to the economy, instead they destabilise the markets through causing currency volatility. The idea of taxing them is to make them pay a price for their activities. So in its original sense the transactions tax has always been a punitive measure targeted at currency speculators and not ordinary law-abiding and bread-eating folks out there in Mbare and Makokoba. This much-maligned transaction tax then became known as the Tobin tax pursuant to its proposal by Tobin, especially when nations began to adopt it as a means to mitigate against currency speculators in their respective economies. Since then the epithet, "Tobin tax" has stuck to the transaction tax till today. Ndlovu, an award-winning central banker, formerly with the South African Reserve Bank and previously attached to the International Monetary Fund Institute, in Washington DC, where he completed an advanced programme in specialised financial institutions and derivative financial instruments in 2005. He writes in his personal capacity.